Special prize for best quantitative paper : Non-profit research based consulting "Sreda"
Research contest for young scientists has good news for statistics lovers who are interested in faith and religion in Russia! HSE’ prof. Eduard D. Ponarin set a special prize for the best entry about faith and religion in contemporary Russia conducted with the help of qualitative methods. Thus, all qualitative papers can both win first prize and special prize. 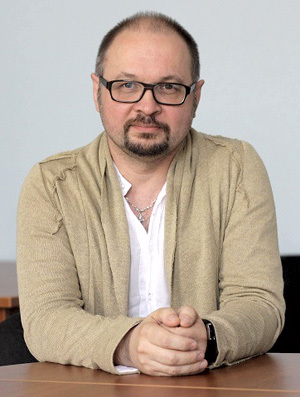 Eduard Ponarin is the director of LCSR (the Laboratory for Comparative Social Research) (St Petersburg), and a Professor at HSE in Saint-Petersburg at the Department of Sociology. By the way, young researchers can take part in his call for LCSR associate researchers. Professor Ponarin holds a PhD in Sociology from the University of Michigan, USA. The key topics of his research are nationalism, ethnicity and religiosity. He is the head of such projects as “Tolerance of post-Soviet press” which is financed by the INTAS and involves participants from Moscow, Kazan, Astana, Samarqand, and St. Petersburg and “Religious and ethnic identities in the Volga-Urals region” financed by the Open Society Institute, the Carnegie Corporation of New York and the American Council of Learned Societies and involving gathering and analysis of expert interviews and mass survey data.